Check out Tobi's Like I Do Turtleneck Top Can a turtleneck jumper get any sexier? 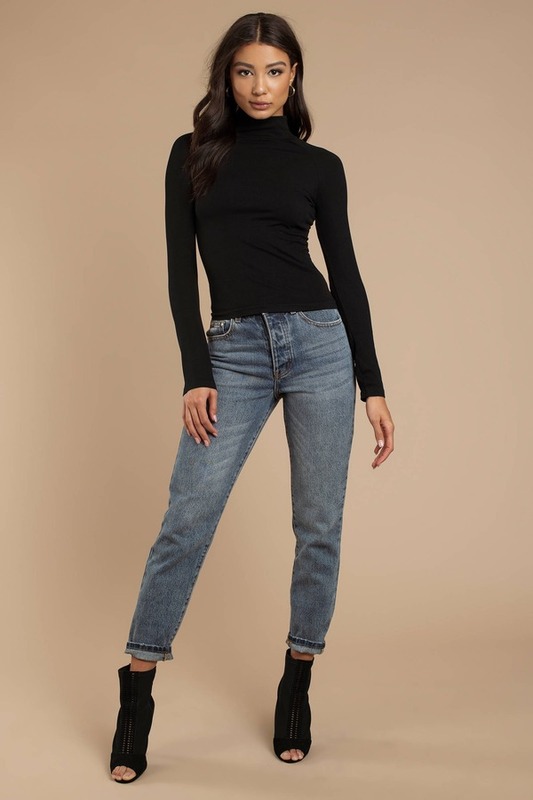 Free People's Like I Do Black Turtleneck Top will heat things up even in winter, featuring a high neckline, long sleeves, fitted construction, and a large cut out in the back, perfect for showing just a lil skin. Pair this cut out top with a high waisted corduroy skirt and booties. Can a turtleneck jumper get any sexier? 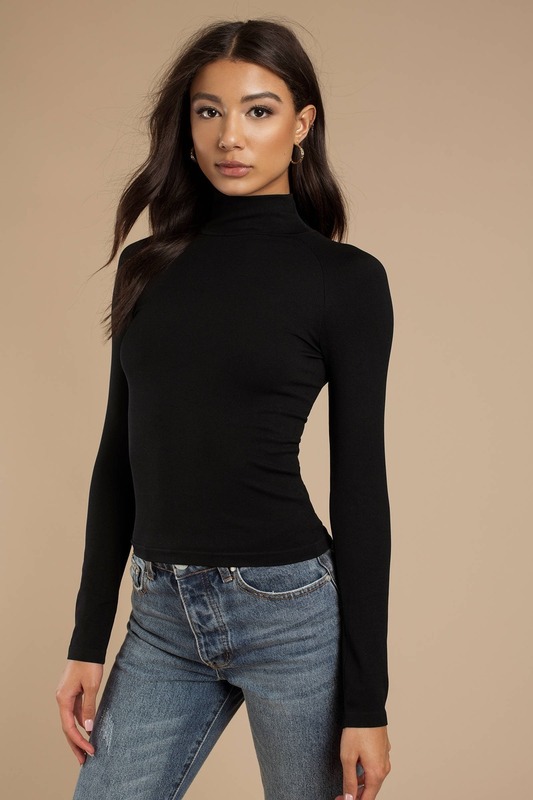 Free People's Like I Do Black Turtleneck Top will heat things up even in winter, featuring a high neckline, long sleeves, fitted construction, and a large cut out in the back, perfect for showing just a lil skin. Pair this cut out top with a high waisted corduroy skirt and booties.